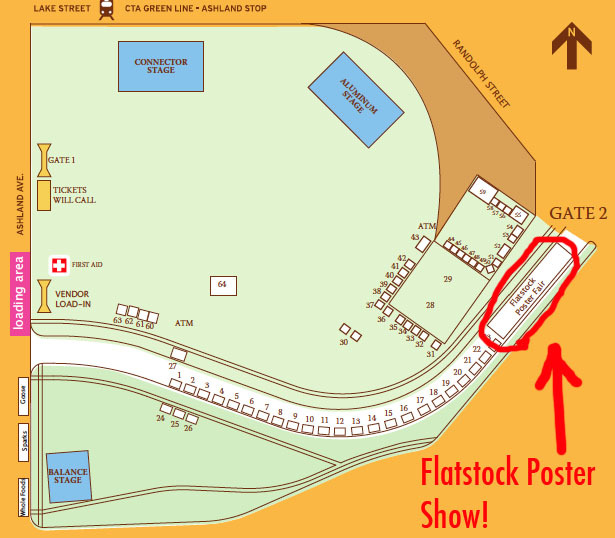 Flatstock & SXSW: Here we come Austin, TX! It’s really Spring! 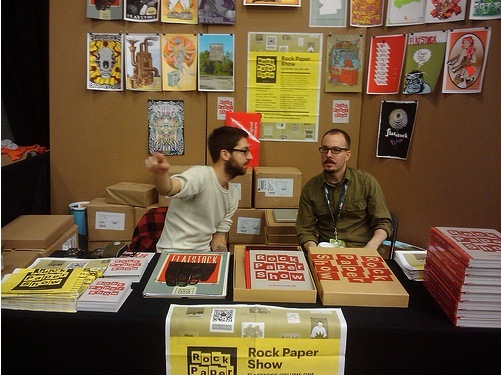 And for us that means the first Flatstock of the year, in Austin, TX during the HUGE music festival SXSW. We’ll be working part of the time and having a blast the other. Come on and see us and close to 100 (that’s right) poster artists from all over the world, showing our work and talking shop with music industry folks, poster art fans and the wide open general public. We will be debuting new posters and new art prints as well as bringing a slew of Test Prints too, so it’s going to be rad. Come say hi! 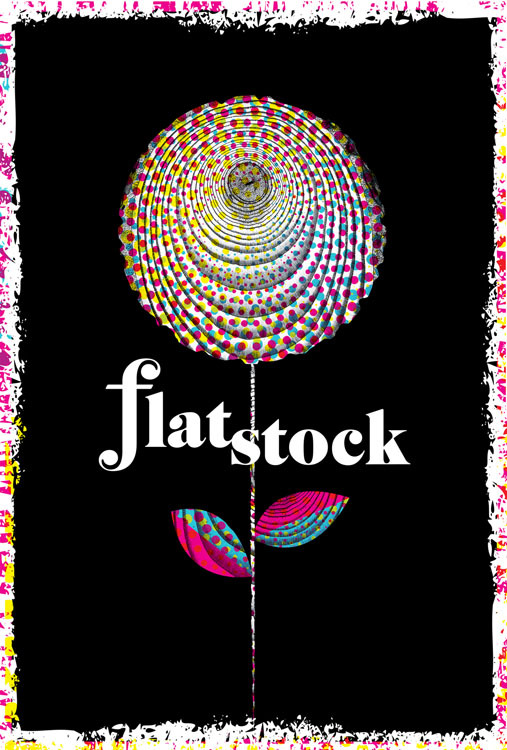 Co-presented by the American Poster Institute (API) and SXSW, Flatstock 24 will display the works of more than 100 artists from across North America and the globe. Posters representing decades of styles, colors and techniques will be on display and for sale as well as additional merchandise. Show up early and be ready to be overwhelmed with amazing posters. (You might want to bring some dough since you won’t want to leave empty handed!) The exhibition is free and open to the public. Check out this year’s exhibiting artists. The best concert posters have always captured both the essence of the music they promoted and the spirit of the time in which they were produced. 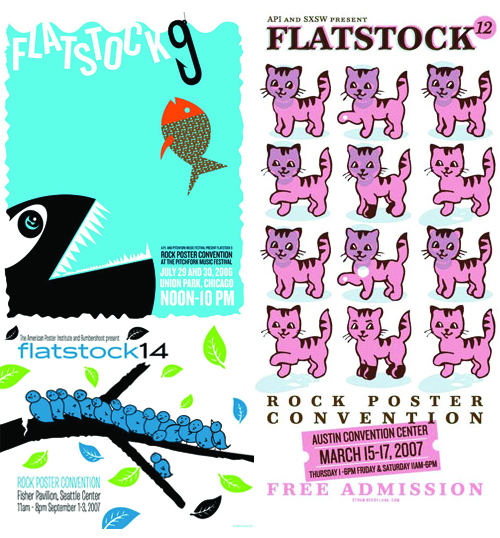 Flatstock provides an ongoing series of opportunities to see fine poster art in person and to meet the artists who created it. Making SXSW a true music collector’s paradise, don’t forget to set time aside for the Austin Record Convention in the same exhibit hall and the Texas Guitar Show in the adjacent hall. The legendary Smokey Robinson will visit Flatstock 24 on Thursday afternoon following his keynote address to sell his limited edition prints designed by Shepard Fairey. Swing by to get your one-of-a-kind poster signed by both Smokey and Shepard. 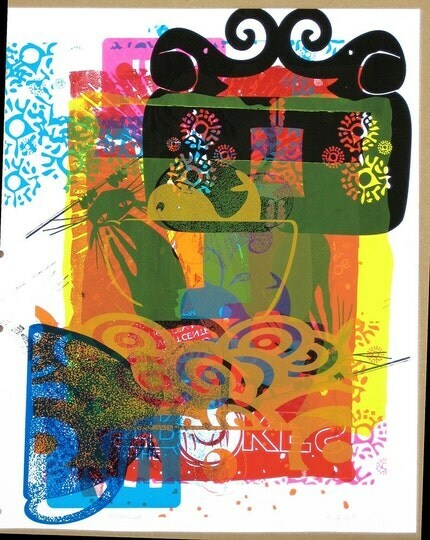 Screenprinted art print of the legendary Smokey Robinson by Shepard Fairey. Austin Convention Center Level 1, Exhibit Hall 1, on the Ground Floor. 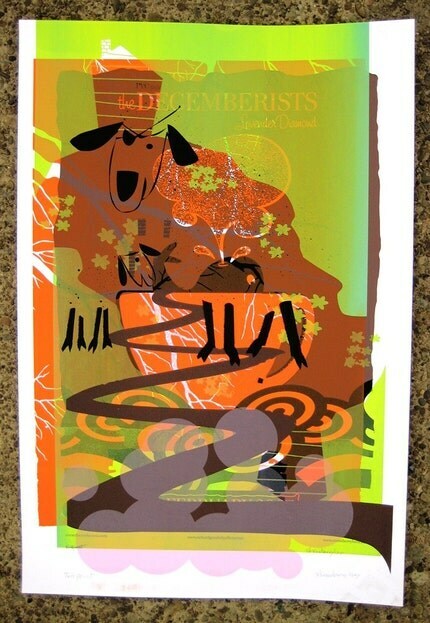 About the API: The American Poster Institute is a nonprofit corporation dedicated to serving the poster artist community and promoting the art form. 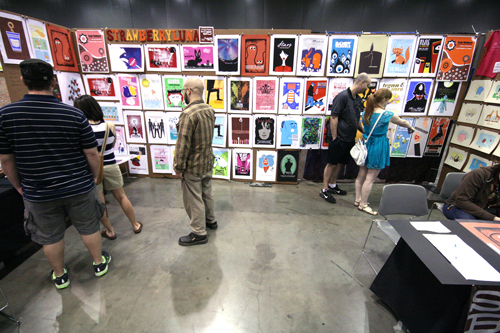 The Flatstock shows provide the American Poster Institute with a way to present poster artists collectively while showcasing the breadth of styles they represent. 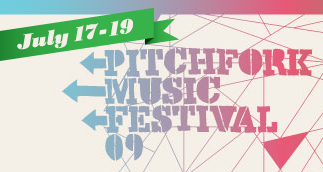 About SXSW: The first South by Southwest Music Conference and Festival (SXSW) was held in 1987 in Austin, Texas. Despite the fact that Austin was not a Top 20 major market at the time, the background and character of the city made it a perfect location for the conference. SXSW’s original goal was to create an event that would act as a tool for creative people and the companies they work with to develop their careers, to bring together people from a wide area to meet and share ideas. That continues to be the goal today whether it is music, film or the internet. And Austin continues to be the perfect location. Our good friend Judge, an incredibly talented illustrator and printmaker from Chicago, IL has done something awesome and in lightning speed. She’s turned her immense talents into doing something good to help the Haitian relief efforts for those millions devastated and effected by the January 12th earthquake and on-going aftershocks. Also, for those interested in finding other ways and charities to help do the greatest good, check out the fantastic Charity Navigator site for in-depth information about over 5,000 US-based charities. 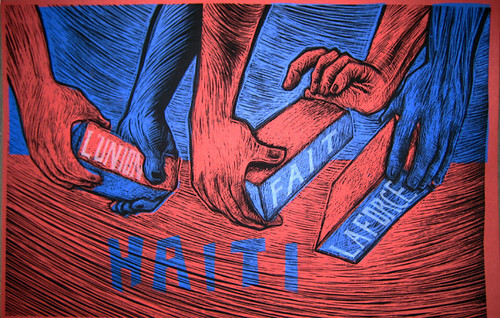 And, of course The American Red Cross is still utilizing the very popular and easy Text “Haiti” to the number 90999 to raise $10 per text with ALL proceeds going to help the Haitian people. For a really cool FAQ about that system please click here. 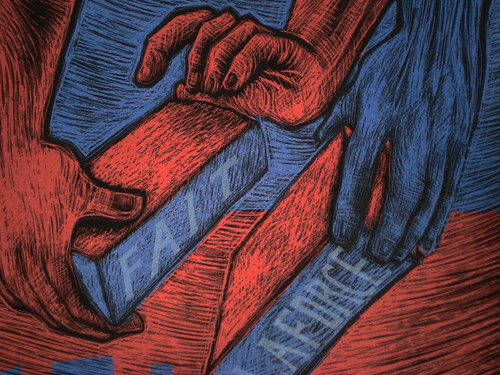 Judge uses a very distinctive and labor-intensive method for many of her illustrations and designs, (you might recognize her work from the numerous pieces that she’s produced for the musician Neko Case), and all of this work is BEFORE she gets to the also labor-intensive process of screenprinting her prints. 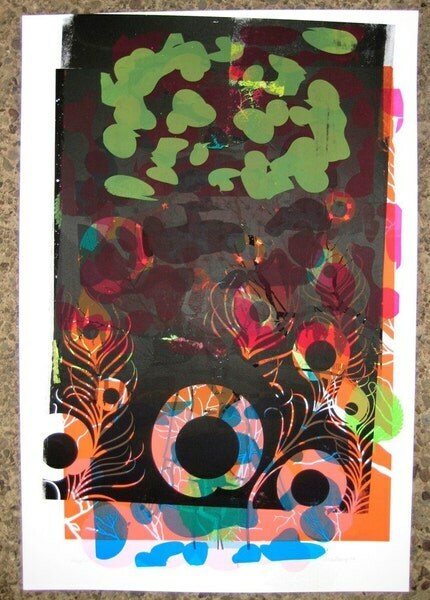 If you would like to see a great step-by-step process thread about this piece, click here to visit Gigposters.com and read the thread, with photographs, descriptions and questions & answers about her work in this piece.